Mark Poeschl is Chief Executive Officer of the National FFA Organization and the National FFA Foundation, where he is responsible for the operations and long term success of the organizations. Poeschl began his career at Ralston Purina and then moved to Carl S. Akey, Inc. in Ohio, holding numerous leadership roles. 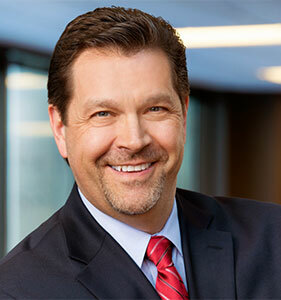 After Provimi Holding BV purchased Akey Poeschl was named chief executive officer in 2007, president and general manager of North American Nutrition. He was promoted to group vice president for Provimi Holding in September 2009 and relocated to Europe. In 2011, Poeschl moved to Cargill, Inc. where he became vice president, group director, stakeholder engagement at Cargill Animal Nutrition. During his tenure at Cargill, Poeschl was deeply involved in the successful integration of Provimi Holding BV as well as major capital expansion programs in the United States, South Africa, Jordan, France, Ireland and the Netherlands. Poeschl earned a Bachelor of Science Degree in agriculture from the University of Nebraska–Lincoln. He served as president of the Brookville Local Schools Board of Education in Ohio from 1995-1999. Poeschl served on the American Feed Industry Association Board of Directors and Executive Board.